Explore the islands by joining a guided short or extended tour or let them customise one to suit you or your group’s special requirements. 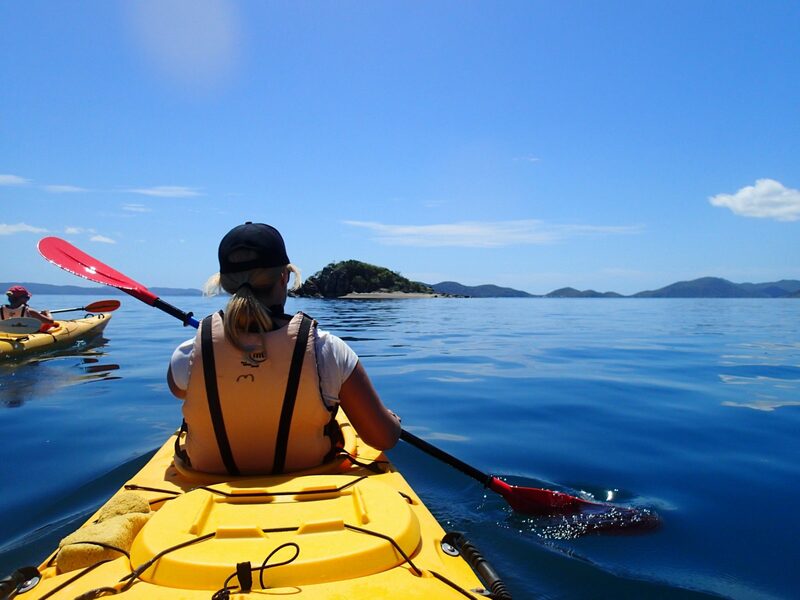 Alternatively kayak throughout the Whitsundays at your own pace with a ‘freedom’ rental kayak, camping out under the stars or ‘living it up’ at luxury resort-style accommodation en-route. Salty Dog Sea Kayaking has an extensive range of single and double sea kayaks available for hire by experienced kayakers. 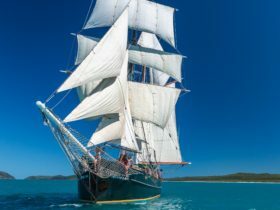 Whether its a short half-day trip or an extended expedition, with your own craft and itinerary, you’ll have the independence and freedom to explore the amazing Whitsunday Islands at your own pace. Free advice and assistance with trip planning and route and camp site selection is available from their experienced guides. 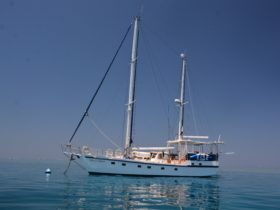 Salty Dog Sea Kayak’s expeditions are often described by clients as their best ever sea kayaking experience – with amazing scenery and an ever-changing ocean background. 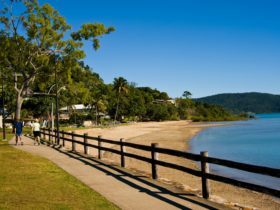 A paddling route includes both Hook and Whitsunday Islands with their spectacular beaches, rugged coastlines and tranquil coral-filled bays and lagoons. 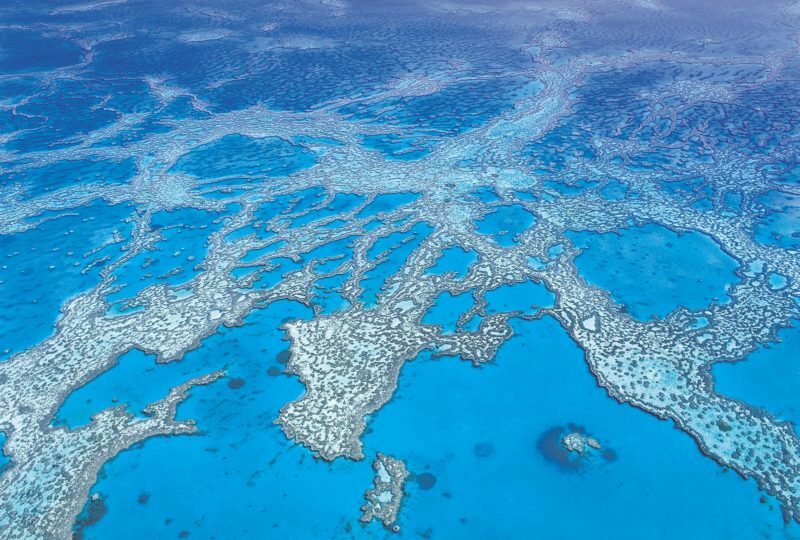 Home to manta rays, turtles, dolphins, rare dugongs and humpback whales, the Whitsundays is truly a tropical marine paradise. 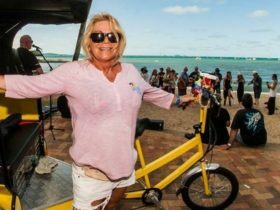 With approximately four hours paddling each day, there’s plenty of time for swimming, snorkelling, fishing or just taking it easy at the beach campsites. 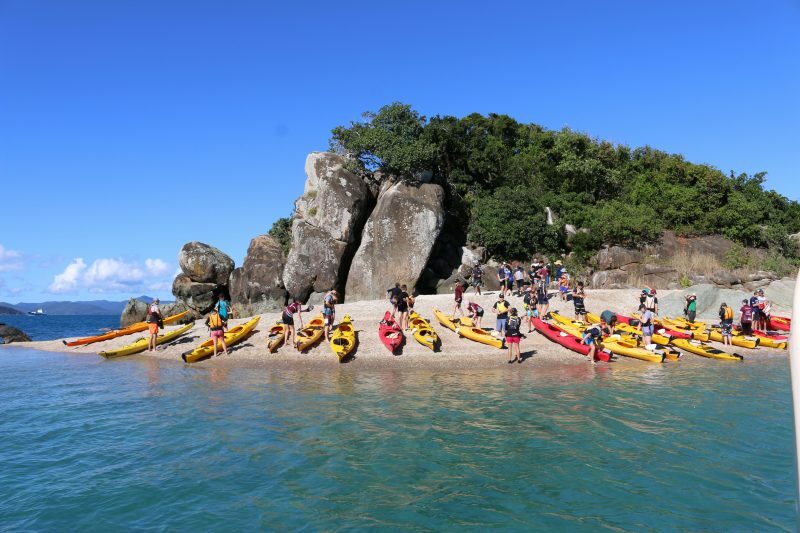 A perfect introduction to sea kayaking or just a great opportunity to escape from the mainland for a few hours. 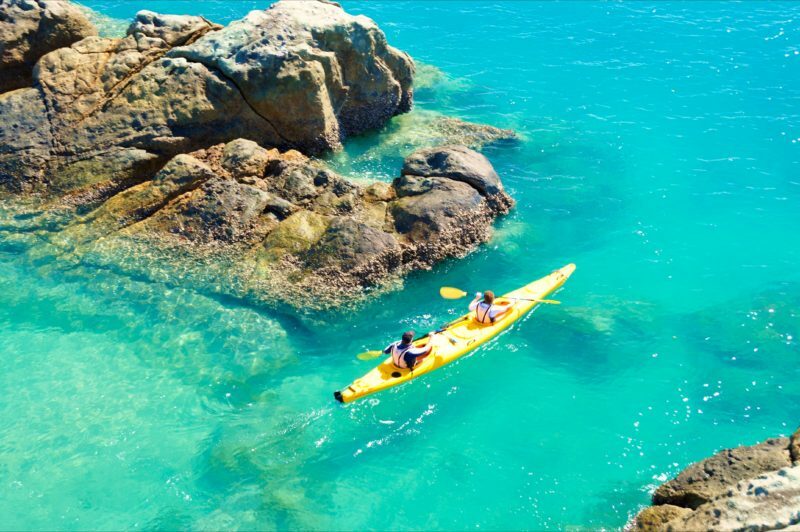 Embarking from picturesque Shute Harbour, you explore Tancred, Repair and Shute Islands by kayak before stopping over for a swim in the turquoise waters surrounding “White Rock”, a tiny National Park island. You then have time to relax on the island’s white coral beach and enjoy a morning snack before kayaking back to Shute Harbour via Cane Cockie’s Beach and Gunn Island. The golden sandy beaches, fringing coral reefs and magnificent scenery, make the nearby Molle Group of Islands the perfect destination for the full day trip. Easily accessible by kayak due to their close proximity to the mainland, these islands and surrounding waters are home to sea turtles, dolphins and a myriad of other marine life. This is indeed a kayaker’s paradise. 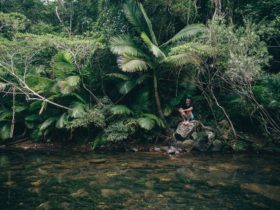 As well as paddling, there’s also the opportunity to take in a guided bush walk and spend time swimming and snorkelling. The tour includes morning tea and lunch on the beach.